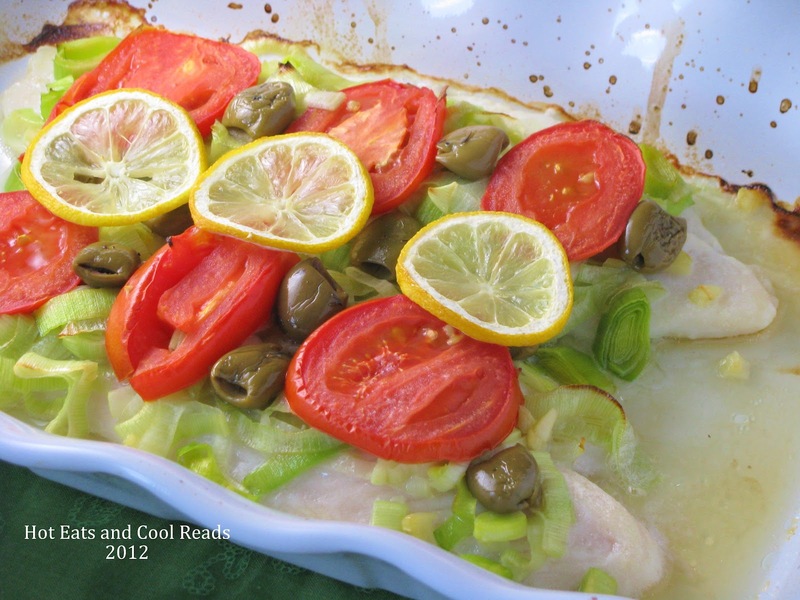 Hot Eats and Cool Reads: Mediterranean Baked Swai or Tilapia Recipe and One Year Blogiversary Taste of Home Cookbook Giveaway! Mediterranean Baked Swai or Tilapia Recipe and One Year Blogiversary Taste of Home Cookbook Giveaway! Wow, one year blogging already?? I cannot believe how fast that time flew by! I initially started this as a book review blog, but soon added recipes due to my love of cooking. Friends and family always wanted recipes I've cooked, but I never wrote them down. It was a challenge at first, measuring and writing everything down, but I soon caught the hang of it. Pictures are a whole different story. I look at some of my first pictures and want to laugh at how basic they are! It's not easy taking food pics and thanks to my sister Shannon, who is a photographer, my images have become so much better! I am so glad to have each and every one of you follow me throughout my cooking, reading and reviewing adventures and I hope you find lots of things here you love!! I have been a huge fan of Taste of Home for many years. I always looked through their magazines as a teen when my Mom would get them in the mail, and have loved them ever since! This recipe came from the Taste of Home Cookbook! This cookbook is a huge hard cover binder filled with hundreds of recipes. I love this book and always know I can find a great recipe within it's pages! One of you lucky readers will have a chance at winning your very own copy!! You can find the rafflecopter entry form at the bottom of this post. Giveaway starts August 31, 2012 and ends September 7, 2012! Good luck! 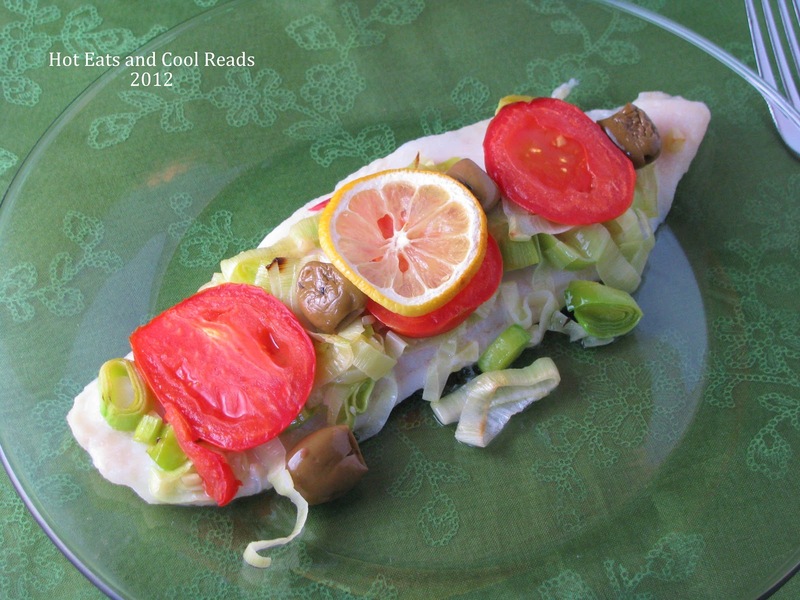 One of the recipes I found in this book was for Mediterranean Baked Fish. Tilapia was the fish I decided to use. I cannot say enough great things about how this recipe turned out! Both my daughter and I cleared our plates! All of the flavors mesh well together and the fish turns out so flaky and juicy from the tomatoes and lemon. I made a couple minor changes from the original such as adding more garlic. I always need more garlic, haha! This is definitely a recipe I will make again! Enjoy!! In a medium skillet, saute leeks and garlic in olive oil until tender. Set aside. Coat a 9x13 baking dish with cooking spray. Arrange basil in a single layer in the bottom of the dish, top with fish fillets. Sprinkle with salt and pepper. Top with leek mixture. Arrange tomatoes and olives over fish. Place the thinly sliced lemon on top and squeeze juice from remaining half of lemon all over the top. Sprinkle with additional pepper. Cover and bake for 15-20 minutes or until fish flakes easily with a fork. Giveaway starts August 31, 2012 and ends September 7, 2012. The winner will be announced and emailed on September 8, 2012. 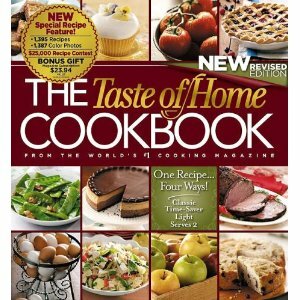 One lucky reader will win the New and Revised Taste of Home Binder Cookbook. Winner will be chosen by Rafflecopter and notified by email. Winner has 48 hours to reply to my email, and if no reply is made within that time, Rafflecopter will choose another winner. This giveaway is open to United States residents only. If you have any questions, please contact me at hoteatsandcooloreads (at) gmail (dot) com. Thanks for entering! I still need to try your Slow Cooker Honey Balsamic Pulled Pork Sandwiches with the Coleslaw! Great giveaway btw - I love Taste of Home, too! Thanks so much Jamie!! This last year has gone so fast! Those Honey Balsamic Pulled Pork sandwiches are a favorite for us! Congrats on your blogiversary! I would love to try your Slow Cooker Barbequed Beans With Ground Beef and Bacon Recipe. Sounds great! I would like to try the Potato Chip Chicken! It sounds so interesting and good. Maybe for dessert the Magic Crust Custard Pie. Congratulations on your one year! Your will love both of them, especially the pie! Thanks so much and good luck!! There are so many I want to try it is hard for me to narrow down. Looks positively divine. Love a Mediterranean meal. Thanks Niki!! It was amazing! I would like to try the Chocolate no-bake cookies as I have never seen anything like that before. Thanks. It would be a really tough choice! You have some fantastic recipes on here... can you tell I have a hard time making up my mind?? I totally agree! It is hard to pick! Good luck! I definitely have to try the Balsamic Chicken and Gravy and Baby Bellas. Everything we like all in one meal! Yum! 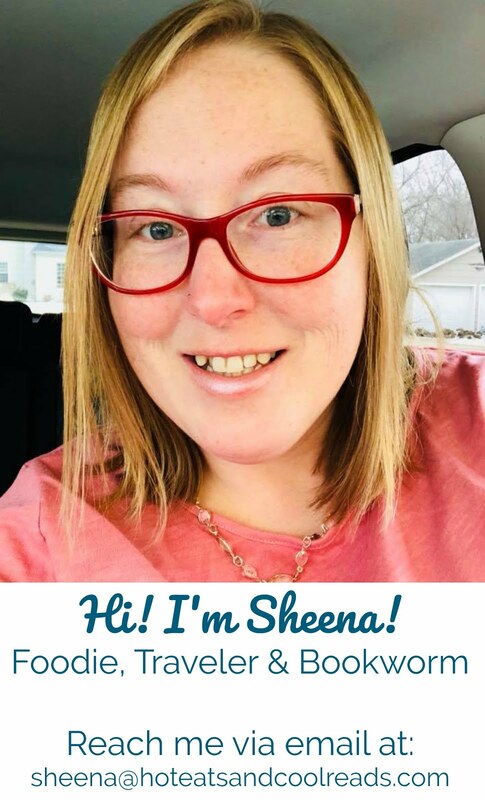 Congratulations Sheena! You have a great blog and I have sure enjoyed blogging with you this past year and look forward to many more!! We would just love the Baked Tilapia, it looks delicious. Your recipe is awesome! Hope you have a great weekend and thanks for sharing with Full Plate Thursday. Thanks so much for stopping by again and sharing with us at Foodie Friends Friday! Keep up the good work and Happy 1 year Blogiversary!! Thanks for the invite Lindsay! I missed this one, but now following you via GFC so I can catch the next party! Thanks! Your recipe is being featured as a most popular recipe on Newlyweds recipe Linky this week. Thanks so much for joining in. Thanks so much for the feature Jenna! Congrats on the blogaversary! Mine is just around the corner. This recipe looks delish. Thanks for sharing. Have a wonderful week.